2001-2003(First Grade) Visual Art and Design, Rotterdam, Willem de Kooning Academy Rotterdam. Theory and practical course on Setar, Music school, Tehran. Private Photography training under Mr. Amir Kashefi supervision. Teaching Drawing, painting, art history and cultural artistic design in Thorbecke secondary school in Rotterdam. Teaching theory Visual Art (Art history and History of civilization) in Willem de Kooning Academy, Rotterdam. 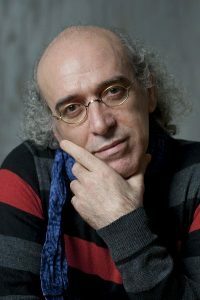 Founder and Director of IKN (Iraanse Kunstenaars Nederland) (Iranian Artists Foundation Founder and Coordinator of Art in Action Foundation in Rotterdam. in the Netherlands) in Rotterdam. Organizing activities for visual artists from Iran en different national backgrounds and cooperation with multi cultural organizations. Member Of Iranian Painters Society. با سلام و روز بخیر.. آزاده حاتمی فر هستم که 3 ماهیست با ویزای “الحاق به خانواده” به کشور هلند مهاجرت کرده ام، دانش آموخته کارشناسی ارشد ریاضی محض (جبر ) از دانشگاه دولتی ارومیه میباشم . از کارهای هنری در زمینه معرق (منبت و مشبک) روی چوب آشنایی دارم و در زمانی که در ایران بودم چند تابلو معرق، ترکیبی از معرق-منبت و معرق- مشبک را نیز ساخته ام. خیلی خوشحال میشوم بتوانم در این زمینه یا مشابه آن همکاری کنم. این ایمیل آدرس من هست ما می توانیم در تماس باشیم.